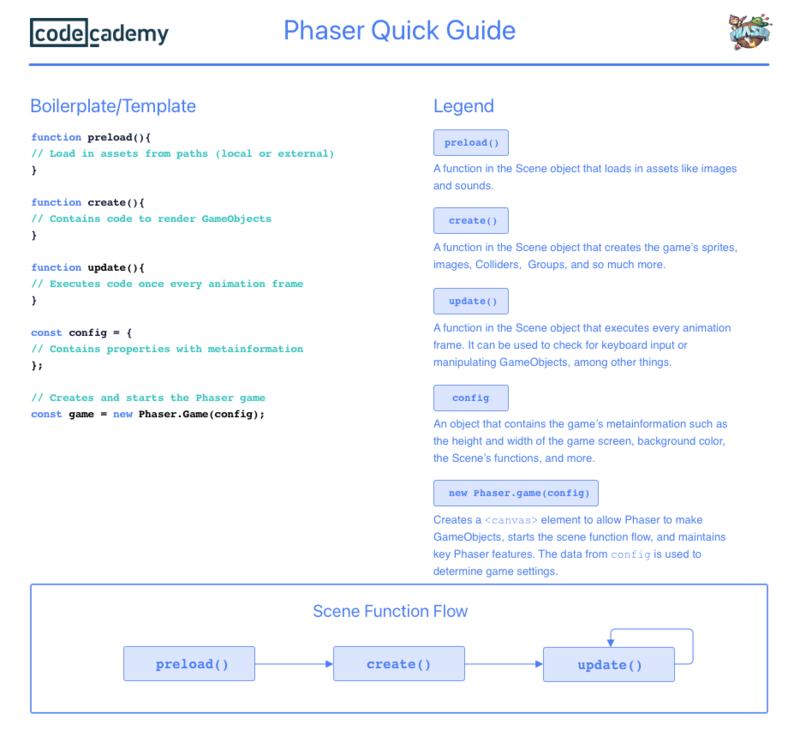 Need a quick reference to fundamental Phaser concepts? Check this guide out! Phaser offers a variety of methods and utilities right out of the box! It makes game development leaps and bounds easier than trying to tackle it from scratch. If you want to print out the sheet, open the guide in a new tab. 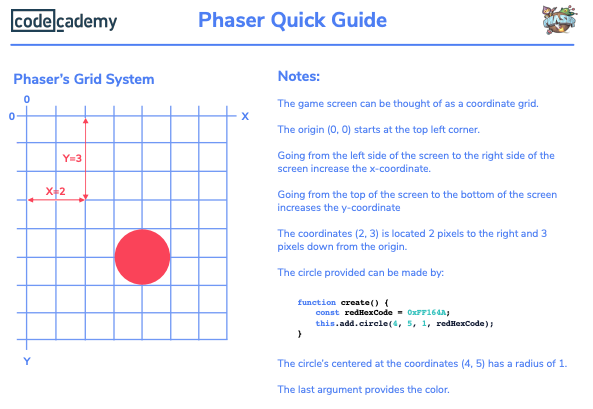 Learn to build a game at Codecademy’s Phaser Course and find examples and other helpful information through Phaser’s own site.